Industry and other stakeholders on Sunday hailed the Goods and Services Tax (GST) Council's move of bringing traders, manufacturers and restaurants below Rs 75 lakh turnover under the Composition Scheme, saying that it will boost small and medium enterprises (SMEs) in the country. "This is a big decision in favour of traders. Its a people-centric decision, will benefit the common people. The biggest win is for SMEs today. Biggest development for small and medium enterprises (SMEs) and small businesses that contribute on a large scale to the GDP and job sector of the country," West Bengal Finance Minister Amit Mitra told reporters in New delhi after the 16th GST Council meeting in New Delhi. 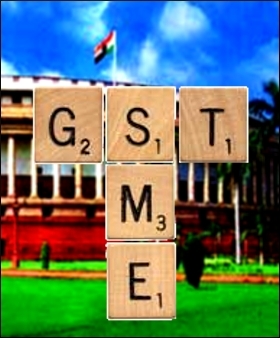 "The purpose of GST is to protect SMEs, protect states' revenues and benefit people. By stimulating SMEs, which are labour intensive, taxes will go up, impact on GDP will go up and if implemented in appropriate manner, it can lead to greater revenues," he said. The Council on Sunday allowed traders, manufacturers and restaurants with turnover of up to Rs 75 lakh to avail of the composition scheme, against Rs 50 lakh earlier. Traders who have below Rs 75 lakh turnover will have to pay 1 per cent tax, manufacturers will have to pay 2 per cent while restaurant businesses will have to pay 5 per cent if they opt to go for the Composition Scheme under GST. However, under it, no input tax credit will be made available. Pratik Jain, Partner and Leader Indirect Tax, PwC said: "Increasing the composition scheme limit to Rs 75 lakh from Rs 50 lakh will provide relief to many more small businesses, though service providers (except restaurants) continue to remain outside the ambit of composition levy." The Council on Sunday also reduced the tax rate for 66 items under GST. "It's really encouraging that government, in a short span of time, managed to consider all the industry representations on rates and reduced/realigned the rates on almost 50 per cent of the items covered under those," Jain said. Overall, the decisions in the Council meeting are all positive and demonstrates a constructive dialogue between the government, which should be a key feature of any such reform, he said. Mahesh Jaising, Partner, Indirect Tax, BMR and Associates LLP said: "The GST Council has decided to increase the threshold of the composition scheme. This should mean that a significant number of SME sector players should benefit from not having to meet with detailed compliances under GST and also having a less financial burden, on account of GST." "In terms of rates, the GST Council has reduced the rates for 66 items. The approach seems to have been to address cases where there was an error in the fitment exercise and also to reduce the rate of key products used by the common man. Importantly, the decision demonstrates the welcome approach of the GST Council in hearing industry's issues and addressing concerns, in several cases," Jaising said. Vishal Raheja, DGM, Taxmann R&D said: "One major decision taken was raising the threshold limit for Composition Scheme to Rs 75 lakh from Rs 50 lakh."